TEEP woke us up, made us feel like NQTs again, gave us a new confidence, it changed our whole ethos and it made us fall in love with teaching again. TEEP is designed for all school staff who want to develop their own and their colleagues’ teaching practice, reflecting on existing strategies that are working well and building on what could be even better. Whole schools – all staff who drive teaching and learning in a school. Small groups – teacher learning communities in a school or cluster of schools. Individuals – individuals at any stage of their career to advance their pedagogical effectiveness. Cohorts of practitioners – practitioners from a school or cluster of schools, designed depending on the practitioners’ requirements. TEEP provides a structure to guide and support more effective teaching and learning and an understanding of the learning process for teacher and learner. Whole school level: Effective teacher and learner behaviours. 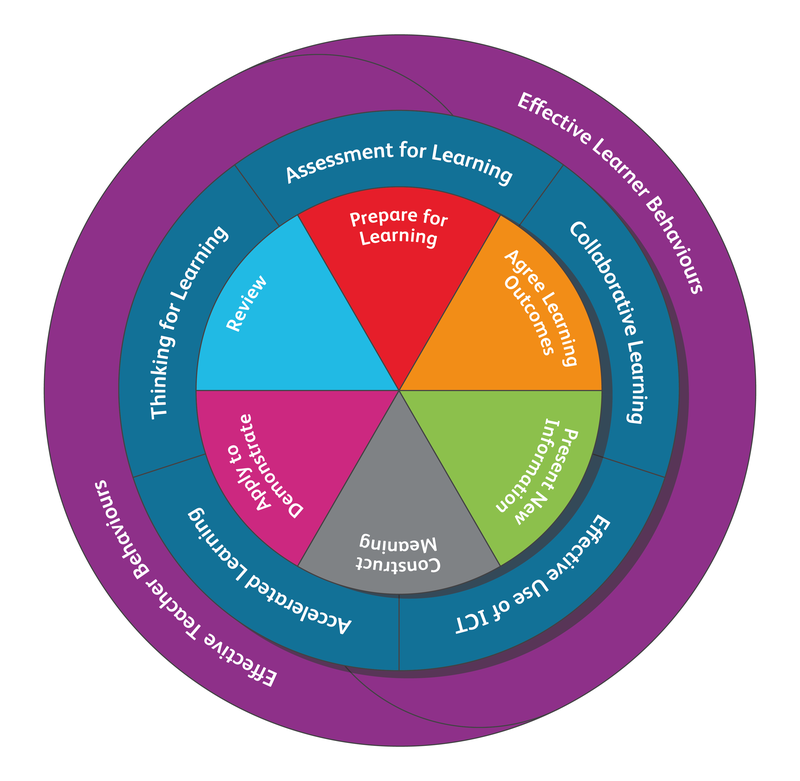 Curriculum level: The five underpinning elements of effective practice. Classroom level: The TEEP learning cycle. TEEP training comprises three levels of competency to ensure scalability and sustainability. Whole school training comprises of three days for all staff to complete level 1, and two days for a core group of staff to complete level 2 across the year. TEEP Level 3 is a commitment of three days training for a small number of staff interested in becoming TEEP trainers. Level 1 – ensures consistency in the TEEP framework and its translation into school context. Includes all enrolled staff in the whole school package. Level 2 – embeds and develops teaching and learning excellence using the TEEP framework. Builds on the experience of level one for a core group of teachers. Level 3 – train the trainer – develop your own in-house TEEP trainers. Creates opportunities for staff to train within their school context or nationally.